The other day I posted a video of John Cale performing Dylan Thomas’ Do Not Go Gentle into That Good Night set to music. Then today I read The Ambassador of China, a poem by k.a. brace. That got me thinking again of John Cale, and his haunting song The Chinese Envoy. I am always surprised at how many people have never heard of Cale, or are vague about him. He is one of the most influential figures in popular music of the late 20th century. He came onto the scene as a member of The Velvet Underground, a band that I must confess held little sway for me. I listened to Cale’s solo work a bit while in college, but never got into it deeply. I rediscovered him some 40 years later and continue to be amazed at the depth of his talent as a musician and writer. It was during a period of personal crisis that I got interested in Cale’s work, and I found much to relate to in his personal story. Many people tell me they find my work very dark, and I suppose it is no coincidence that I love the darkness of Cale’s lyrics. He is now in his 70s and lives in Los Angeles, and is still working, still making music. 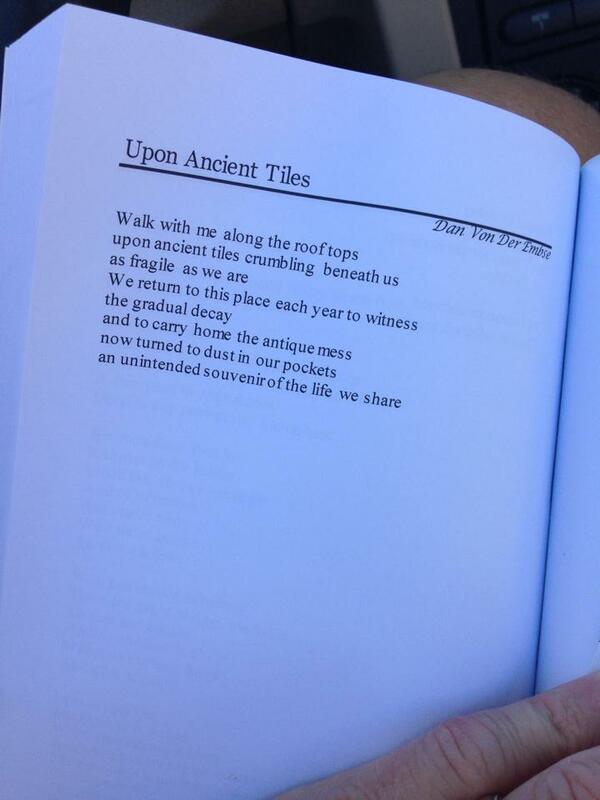 Many thanks to Poetry Quarterly for putting my poem, upon ancient tiles into print. Love this poem. Made my day. I was reading an article today on The Poetry Foundation’s website about the 50th Anniversary of Frank O’Hara’s “Lunch Poems” and wanted to share it with all my fellow Bloginistas along with a poem of his of which I am rather fond. I have always loved Mr. O’Hara’s work, and after reading the article and the following poem, I hope you’ll see why. A rainy Sunday, an empty piazza. Ascoli Piceno, Marche, Italy, October, 2013. Magical. Apparently not everyone loves what John Cale did with Dylan Thomas’ Do Not Go Gentle into That Good Night, but I do.